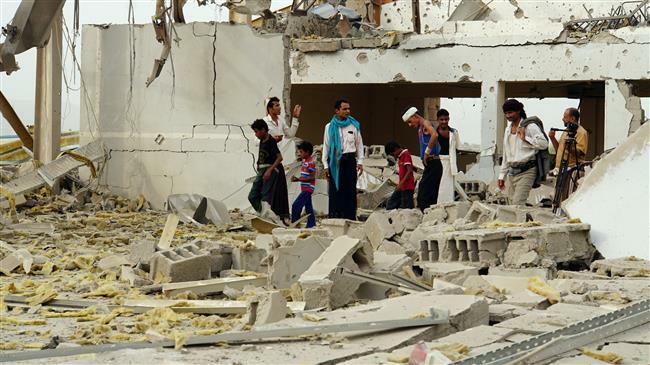 At least six civilians have been killed when enemy of Islam Saudi regime’s military aircraft carried out airstrikes against a residential area in Yemen’s northwestern province of Sa’ada as the Riyadh regime presses ahead with its bombardment campaign against its southern neighbor. Saudi fighter jets conducted aerial assaults against an educational complex in the Kitaf wa al-Boqe’e district of the province on Saturday, leaving six people dead and several others injured, an unnamed local source told Yemen Press Agency. “People’s lives have continued unraveling. Conflict has escalated since November, driving an estimated 100,000 people from their homes,” John Ging, UN director of aid operations, told the UN Security Council on February 27.